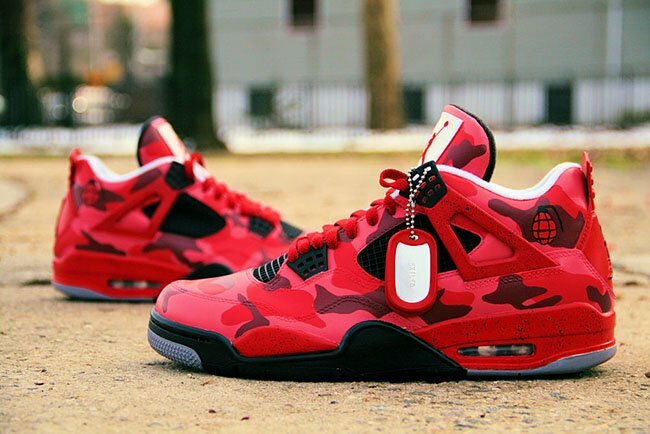 The Air Jordan 4 ‘Red Urban Camo’ Custom is a creation by Ecentrik Artistry who designed the shoes for a client who has a military background. 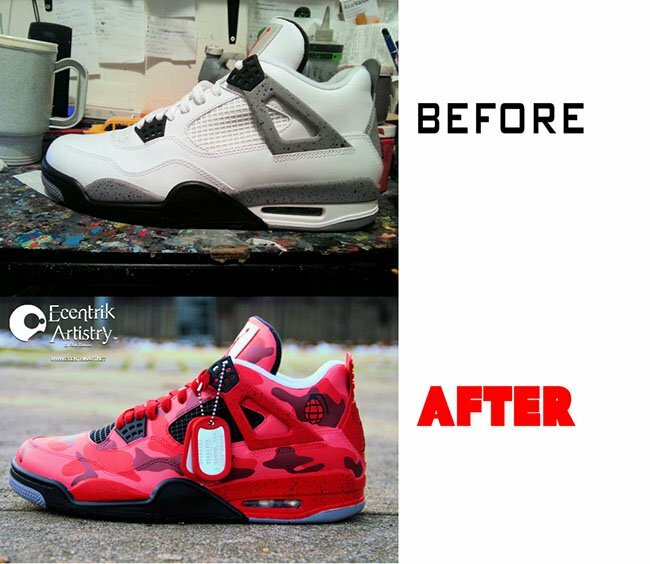 Taking the Air Jordan 4 ‘Cements’ from 2012, the shoes feature all red through the base along with camouflage detailing. 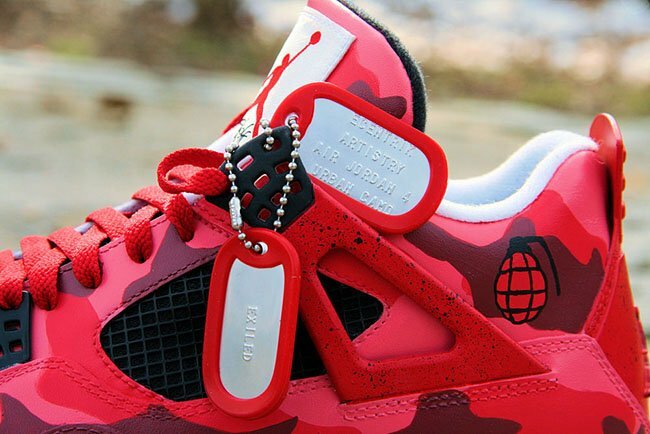 The traditional cement print still lands on the areas it should, while other highlights consists of grenades by the heel and dog tags. 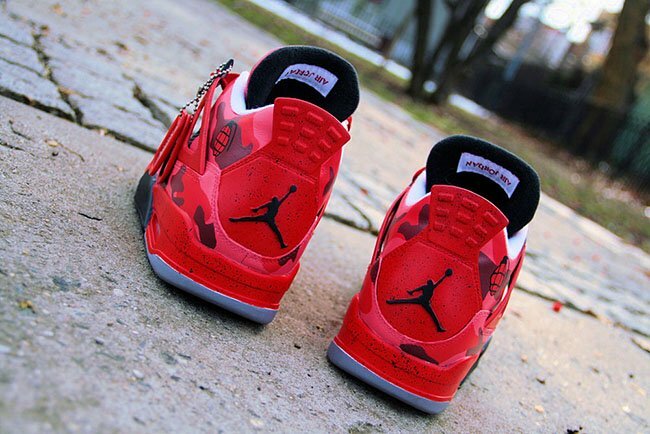 The ‘Red Urban Camo’ Air Jordan 4 Custom is a 1-of-1, so you won’t see any other pairs available. 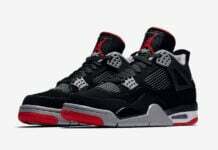 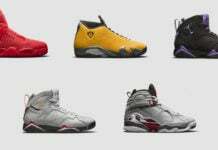 However you can get some customs made by Ecentrik Artistry by emailing him at [email protected] or inquiring at his website Ecentrikart.net. 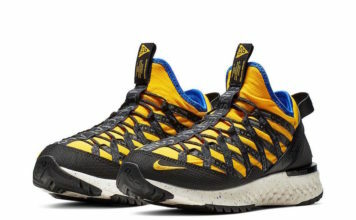 Check out more images of his latest custom by scrolling below and let us know what you think of them by leaving us a comment.